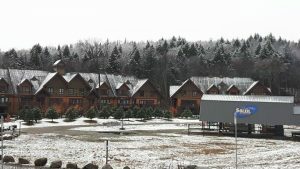 Many questions arise when it is time to make a reservation for lodging in Tremblant. It might seem difficult to know which type of lodging will better suit our needs. 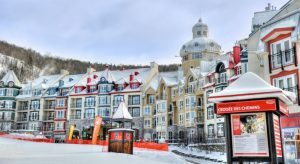 With 3 different sectors and over 30 possibilities to choose from, Tremblant Resort’s offer could give you a headache! To assist you, we listed descriptions of our various sectors of lodging. Remember that our booking agents are also available to guide you, moreover, they can quickly give you an overview of availability and costing. The only rental units available in Domaine La Diable are the Boréalis homes. These cozy houses are built on the edge of the La Diable golf course. It is the ideal setting for a peaceful family holiday. Each house has a capacity of 3 rooms and can accommodate up to a maximum of 8 people. These townhouses are positioned in a large circle, providing both privacy and a sense of space. Located only a short drive or shuttle ride away from the pedestrian village, this domain is a true golfer’s paradise. During the summer months, you’ll be able to enjoy the swimming pool after a nice round of golf. Located on Le Géant golf course, this development offers tranquility and intimacy in a natural setting. All lodging units are divided in 1 to 3-bedroom condos or apartments with kitchen and parking area. A shuttle service will take you to the pedestrian village in just a few minutes. 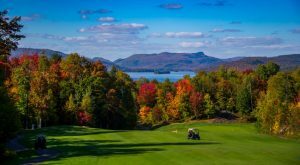 During winter, lodging here will give you access to Tremblant Lodging Privileges while allowing you to take advantage of golfing packages and access the swimming pool during summer months. You will also have access, all year long, to the outdoor hot tub at the Manoirs. Stay a few steps away from restaurants and bars and feel the rhythm of the pedestrian village! If you wish to fully enjoy our many events, you can’t get any closer to the action and shows at Place Saint-Bernard. With family or friends, you’ll find the right lodging for your needs with over 12 different possibilities. Some hotel suites can even accommodate up to 10 people. You can opt for a hotel room, a condo, a studio or a suite. And what better place to have fun and celebrate than in the middle of the action of the pedestrian village! 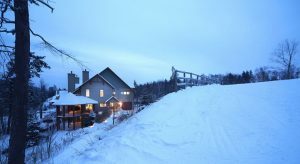 Lodging at the foothills allows you to take advantage of the proximity of both the gondola and the après-ski. 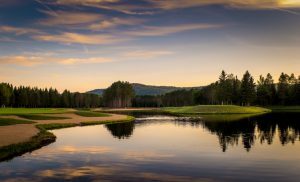 Summer fun is also a must in Tremblant! Most hotels are equipped with an outdoor swimming pool and are located only a few minutes’ walk away from Lac Tremblant beaches, mountain bike trails and the multifunctional trail. 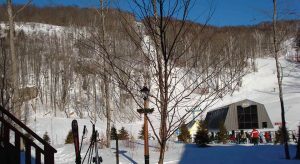 Lodging also gives you access to Tremblant Lodging Privileges. Domaine Nansen townhouses offer 4 to 6 bedrooms and can accommodate up to 14 people. 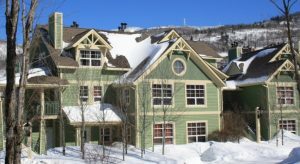 These are the largest rental units in Tremblant. They are fully equipped (kitchen, bathroom, washer and dryer, living room, etc.) and cozy for both families and groups of friends. On the mountainside, Domaine Nansen offers the tranquility you are looking for. Each house has a parking area, while shuttle services can take you to the pedestrian village which is also at walking distance. During winter, these ski in/ski out houses are equipped with a hot tub to relax after a day out in fresh air. With 14 types of lodging, Domaine de la Forêt is the biggest development. 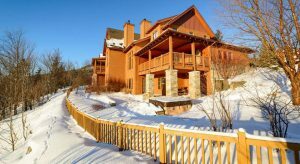 On the mountainside, its offers a breathtaking view of Lac Tremblant and the valley. This is another perfect spot for privacy and tranquility. All units are divided into 1 to 6-bedroom townhouses or condos, and are equipped with a kitchen and parking. In winter, enjoy easy access to the slopes. 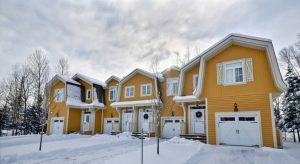 Units are either ski-in/ski-out or only a few minutes away from the slopes by foot. Park your car for the duration of your stay and use the convenient shuttle services. In summer, you are only a few minutes away from walking trails and from the multifunctional trail. 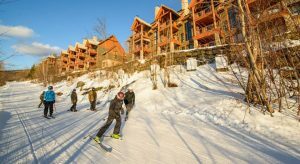 Spend a memorable stay in nature at the foot of Versant Soleil and a few steps away from Casino de Mont-Tremblant. This domain offers fully-equipped condos and apartments with parking and indoor fireplace, which are perfect for smaller groups of friends and families. Located directly at the bottom of the slopes, you will have a quick access to the ski lift and will be enjoying the “sunny side” during the ski season. Swimming pool and hot tub are accessible, depending on the season. 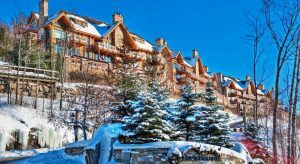 For more information, please visit our website tremblant.ca or contact our booking central at 1-888-738-1777. 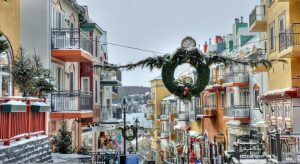 We wish you a memorable experience during your stay in Tremblant.